NEW — SAMPLE LETTERS! See free samples of the letters you get in each package! FREE SAMPLES OF LETTERS – CLICK HERE! Letter Descriptions – Please Click Here! We believe every client starts with one word: “HELLO!” Our letters make that introduction. The goal of every letter in this series is to make people call you. NEW: Order Now and get all 15 letters, plus a bonus of 10 of our NEWEST Letters FREE! Get all 25 sales letters in this awesome direct mail package. Details below! Our letters actually don’t sell anything. They have just one simple mission: These letters make your phone ring. We’ve written and designed all of our Awesome Network Marketing Sales Letters to fulfill this one goal: to make your phone ring! Our highly responsive MLM Letters increase the frequency of calls you receive in any mailing campaign, whatever you’re selling. Our sales letter templates are written and designed to get customers and prospects to call you! Mail these letters and get more phone calls than you ever thought possible. These aren’t letters that we dashed off in 20 minutes. They’re well-written and well-designed sales cover letters. Each letter took master direct mail wizard Jeffrey Dobkin 10 to 12 hours to write and design. to write a series of business sales letters for you? High Powered sales letters that make your phone ring like crazy each time you mailed them. In fact, what would it be worth to you to have one of the best-paid direct response writers write a series of letters (both web letters and traditional direct mail letters) designed specifically to be sent to your “Top Business,” “Top Prospect” and “Business Opportunity” mailing lists so the people on these lists CALL YOU. Our senior writer who wrote these – master direct mail copywriter Jeffrey Dobkin – is a direct response specialist. He writes letters for clients and charges $1,200 to $2,500 per page. And gets it. Some of his sales letters have been tested and then rolled out and mailed to millions of people. Chances are, you’ve already seen a lot of his work… in your mailbox. Our marketing letter writer: Jeffrey Dobkin, is a lifelong direct marketing strategist who has written 7 books, and over 250 articles — mostly on direct marketing — and specifically on increasing response. Dobkin’s articles have been featured in more than 300 magazines and tough, shrewd business newspapers. So let me ask you again… What would that letter series be worth to you? These letters – when mailed to the right list – make new clients CALL YOU; old clients come back and CALL YOU, and your top-tier prospects and TOP client list call you! Readers will call asking you for information, about new products and for your newest offers. We’re talking about letters that drive readers to call you… and web visitors to call you. Letters that don’t sell anything, they generate response: phone calls. And isn’t that what you really want – maximum phone calls. Calls = business. No calls = no business. Simple formula. What would those sales and prospecting letters be worth to you? Because we contacted Jeffrey Dobkin, direct marketing wizard and unbelievably talented direct mail writer, and asked him to write a few great prospecting letters to sell a few home-based business offers and some opportunity products for us. We were quite surprised – and a bit taken back – by his answer. He flat out told us no, he wouldn’t. He explained to us that he wouldn’t write sales letters to sell home-based business opportunities, because that’s not the way most business opportunities are sold. Business opportunity offers, home based sales opportunities, and network marketing products, he explained, are sold by agents, counselors, coaches, and company representatives. This is a personal type of selling. Since business opportunity products can represent a cash outlay or even worse: large investments of time or personal involvement, there’s a need to build a relationship first. There’s a need to establish trust. Then when the phone rang, WE could do the selling. We could sell to a warm client or prospect who CALLED US. We could sell products, or opportunity. We thought, “Hey, he’s right!” And leaning forward, we listened more intently. We thought, “Hey, he’s right! And OK, maybe he’s worth it. If just one of these powerful network marketing letters works for you – it made lots of people call – what would that be worth? If just one big client called you, what might that be worth to you? $500? $5,000? $25,000? Dobkin sounded pretty good to us, so we looked over samples of his network marketing articles that have appeared in some of the largest Income Opportunity magazines. We looked at the letter series he wrote for other industries. And we studied his client list: big insurance companies, electronics manufacturers, a who’s who list of direct mailers and large retailers! It didn’t take us long to figure out that he definitely knows how to make the phone ring. So we hired him to write MLM sales letters for us with the magic of his one single goal – to make our phone ring. The letters he wrote? Priceless. Specifically, we hired him because he knows how to make YOUR phone ring. And specifically that’s why we hired him. We hired him for YOU – to make YOUR phone ring! Get Started Today! Click Here for Immediate Access to All 25 Sales Letters! So, Dobkin has written 15 letters with the specific objective to make your phone ring. They don’t close prospects for you, and in fact, they don’t sell anything: but they make your phone ring with MAXIMUM RESPONSE. So, how much did you say you’d pay for one of the brightest direct marketing copywriters in the country to write 15 letters specifically to make your phone ring? We have a good answer. 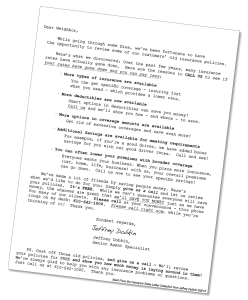 A complete set of MLM sales letters from us, written by master direct mail copywriter Jeffrey Dobkin, costs under $100! Yes — Under $100! Just $6.33 per letter. $95 for all 15 letters. At just under seven bucks a letter, each letter costs a lot less than a going to a football game and it’s certainly cheaper than dinner at McDonalds. If these letters make your phone ring just once, they have paid for themselves many, many times over. If just one client calls, what would that be worth to you? I’m guessing… plenty. So if times are tough and you’re having trouble getting people to call you, you can now change all that — forever! If your business stinks and you don’t know how to fix it, a letter campaign can be successful for you – in fact in just a FEW SHORT WEEKS you can become successful by mailing the right letters to the right list! Our highly responsive MLM sales letters are the easiest way to get more more calls, more clients and more business right now! NEW – Your license to these letters now allows you to post these network marketing sales letters on the sales page of your Website! Or email them! Your website is just direct marketing after all. You’ll get more visitor click-throughs and more inquiries online. Because each letter is written and designed to get maximum response. That’s how we got Dobkin to write this series of letters for us at The Danielle Adams Publishing Company. Buy now and the download is immediate. You can be in the mail in just a few minutes! Download this entire set of right-to-the-point, focused sales letters, written specifically for the work-from-home, home-based, entrepreneur, small business, and opportunity marketers. Our sales letter templates are totally unlike any other letters you see advertised on the web. So different than sales letter written by any other writers! As you can see our marketing philosophy is different. Other writers and other firms write letters to sell products. Our letters are written to get phone calls. These highly responsive network marketing sales letters are the cream of the crop at generating phone calls. 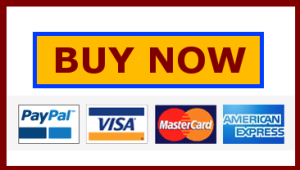 Order now and get more calls than you ever thought possible! 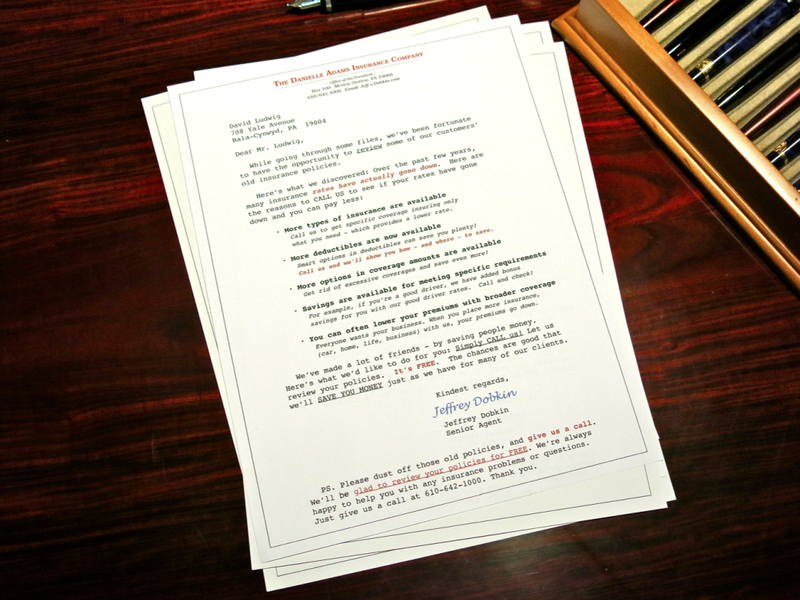 Get all 15 response-driving letters written by master copywriter Jeff Dobkin, click here. If you need more business. If you need your phone to ring. If you hate prospecting over the phone. If your phone isn’t ringing now… ORDER THESE HIGH-RESPONSE SALES LETTERS NOW. If you want your phone to ring with clients who are ready to talk, order these MLM sales and prospecting letters right now and mail to your present and past customers, new prospects, and top potential clients. Send selected letters to anyone you’d like to have call you. Choose your favorite letters in this series – these letters are all different, and yet all work like magic to selected markets to make your phone ring. Feel free to send these network marketing letters by email or on the web: Make prospects visit your web page. Dobkin’s sales letters work like magic to attract visitors. And did I mention they make your phone ring like crazy? See first-hand the incredible response that these letters draw. Special: Order right now and get all 25 letters for just $95. It’s too good not or order now. Click here to order: have this series of 15 hard-hitting, direct-selling letters sent to you for just $6.60 each. Start using them as soon as you get them to have prospect call you! Letters are carefully written, and fully designed. Delivered to you in Microsoft Word (PC), or Pages on request (Apple). Just let us know. All letters are written and designed and ready for immediate mailing. When we say written and designed, we don’t just send you raw copy and say good luck. Every paragraph, and every paragraph break – is designed-in with a singular objective: to increase response. Line breaks don’t happen by chance, each is put there on purpose – to specifically direct the eye flow of the reader, increase readership and increase response. everything in this powerful letter series is done to increase response. Once you order these direct mail letter templates, you are free to use all 25 letters, or just pick and choose your favorites. Letters are for your personal use (not for your downline) or a small firm of up to 5 people at a single location. You can mail them again and again – they are not limited to a single mailing. For larger firms, or for your downline usage, please call for licensing privileges. 610-642-1000. Mail to old clients to revive them. Mail new prospects to make them call you – with questions or for more information. And mail these network marketing letters to your TOP PROSPECTS and stay close to the phone – we think you’ll want to be there when they call. Wouldn’t it be great to have clients and prospects CALL YOU for a change? It is. It can happen, and it can happen today with our direct mail letters! Get a full set of our sales and prospecting letters in an instant download. PLUS 10 of our NEWEST Letters as a FREE BONUS!! This is a limited time offer – please order today! Thanks.